On this day in 1961, Harold Johnson disposed of an overmatched Von Clay in his first defense of the National Boxing Association (NBA) light-heavyweight title. Johnson beat Clay in convincing fashion, sending him to the canvas four times in a span of less than two rounds at The Arena. Johnson, who weighed 174, put Clay, a fellow Philadelphian, to the canvas once in the first round and three more times in the second, forcing an automatic stoppage. Johnson came into the ring with a 63-7 record and 16 years of ring experience. Clay, 175, had a 13-3-2 record in four years of fighting. The disparity in experience was evident from the start, as Johnson found a home for sneaky rights to Clay's noggin over and over. The time of the stoppage was 2:25 of round number two. 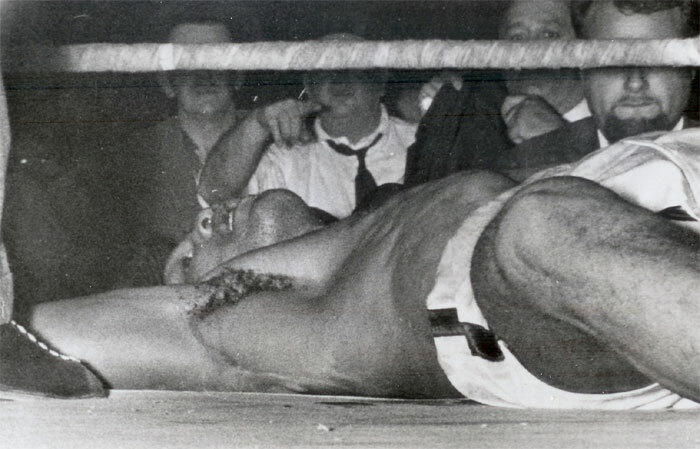 Johnson chose the familiar turf of The Arena as the venue for the first defense of the title he won in Miami Beach two months prior with a 9-round TKO over Jesse Bowdry. 1934 - Billy Abel, Sr.